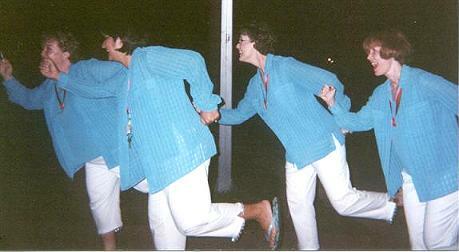 "The picture is taken at Sweet Adeline's (Women's Barbershop Music) summer music camp. a Wild Card and are off to Phoenix in September 2003 for the International Competition!!" Thanks to Becky, Tina, Connie and LaRee for phooning and to Starla for the photo idea.